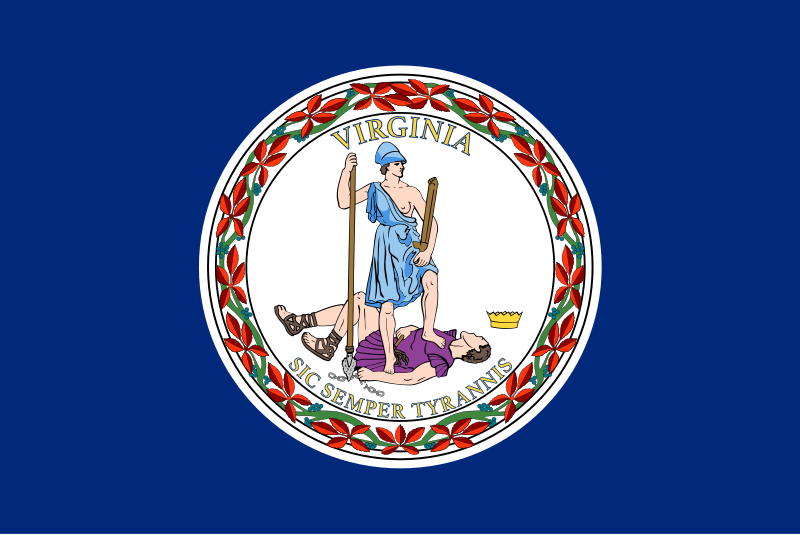 Virginia ( (listen)), officially the Commonwealth of Virginia, is a state in the Southeastern and Mid-Atlantic regions of the United States located between the Atlantic Coast and the Appalachian Mountains. Virginia is nicknamed the "Old Dominion" due to its status as the first English colonial possession established in mainland North America and "Mother of Presidents" because eight U.S. presidents were born there, more than any other state. The geography and climate of the Commonwealth are shaped by the Blue Ridge Mountains and the Chesapeake Bay, which provide habitat for much of its flora and fauna. The capital of the Commonwealth is Richmond; Virginia Beach is the most populous city, and Fairfax County is the most populous political subdivision. The Commonwealth's estimated population as of 2018 is over 8.5 million.